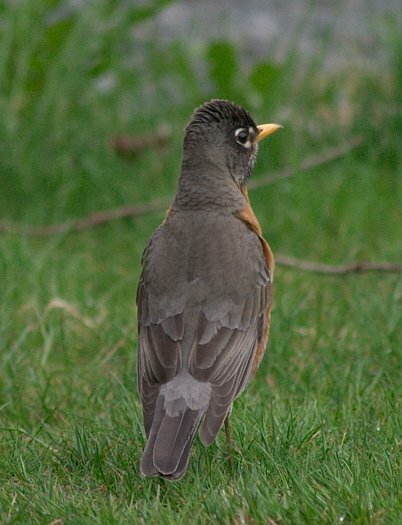 I think this is a male robin and the one building the nest was a female. This robin seemed to be keeping a lookout while the other one worked on the nest. Occasionally there was a robin squabble, but I was not paying close enough attention to say whether it was this one chasing others off.